Here is the ideal way to power football coaching as per UEFA standards. Who can run the Eric Benny Football Academy? Are you an existing Football Coach? Are you an existing physical Education Teacher? Are you a former footballer aspiring to be a football coach? Are you a School / Institution having Football Academy aspirations? Do you want to run your own Academy? If your answer to the above is 'YES', then partner with us to run Eric Benny Football Academy (EBFA) powered by Deutsches Fußball Internat (DFI) - Germany. An opportunity that will make you an entrepreneur. Eric Benny Football Academy, a division of Eric Benny Sports Management, is a unique way for coaching young talented footballers (aged 4 - 18 years). We are looking for partners who want to run their own Football Academy and are ready to train potential footballers at the grass root level and make them to aspire to play for Clubs, State or Nation. Why run Eric Benny Football Academy (EBFA)? Running an EBFA, you get the power to shape the destiny of future footballers and create a race of skilled footballers. 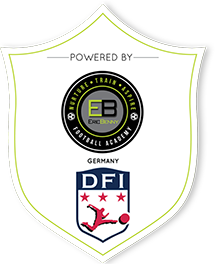 EBFA is backed by one of the biggest names of international football youth academies DFI - Germany. 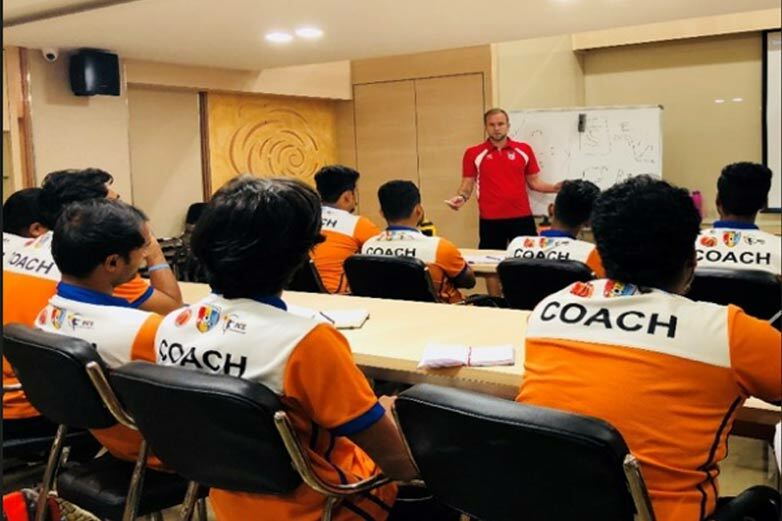 EBFA helps in setting up grassroot level development environment while training & certifying the coaches - educators to the specifics of teaching grassroots football to both boys and girls as per Union of European Football Associations (UEFA) Standards. Our scouting process happens once a year by UEFA Certified coaches at our football academies. Shortlisted students will be given an opportunity to be trained and mentored at our European centers of expertise for a short - term program in FC Metz, France and Deutsches Fussball Internat (DFI), Germany. Selected students from this short – term program will then have an opportunity to be mentored at FC Metz, France or Deutsches Fussball Internat (DFI), Germany for a long - term program. Those who have not qualified for our short term or long term programs will be trained at our academies and will get an opportunity to get scouted for our next season of short term program in Europe. Copyright 2019 Eric Benny Football Academy. All rights reserved.